If you are looking for a medicine that is natural and yet effective, we have something special. Arsomana controls piles, fistula and fissures in an herbal way. 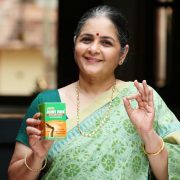 Arsomana capsules are a mixture of 14 persuasive Ayurvedic medicines namely amla, koovalam, kaduka, than Nike, etc. All you need to do to treat your piles or fissures, is to have two Arsomana capsules two times daily. The medicine can relieve any intense version of piles within 3 months time. Works to battle diabetes,food poisoning and fight off cancer. To achieve the best of results, take 2 capsules each in mornings and evenings. 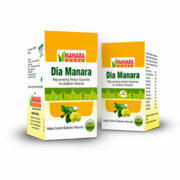 Arsomana is highly effective in the treatment of piles, fistula and fissures. 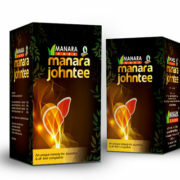 This special preparation controls bleeding and pain, giving unmatched relief from the problems and complications associated with haemorrhoids. 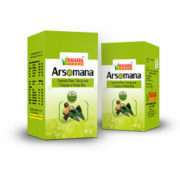 Proven to relieve even intense forms of piles within 3 months, Arsomana also helps to get rid of bowel gas, itching and phlegm. Not to mention its impressive prowess to aid in digestion. 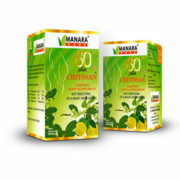 Moreover, being a completely Ayurvedic preparation, Arsomana is free of any kind of side effects. Then, why wait? 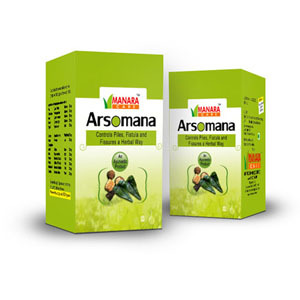 Choose Arsomana and say good bye to pains.